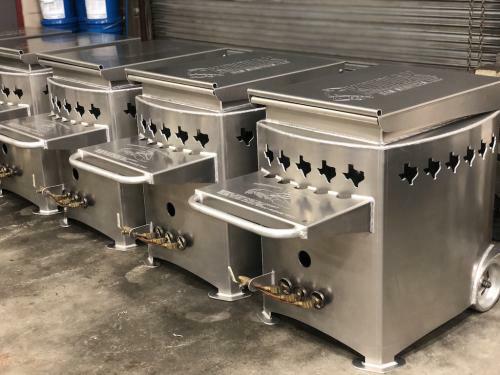 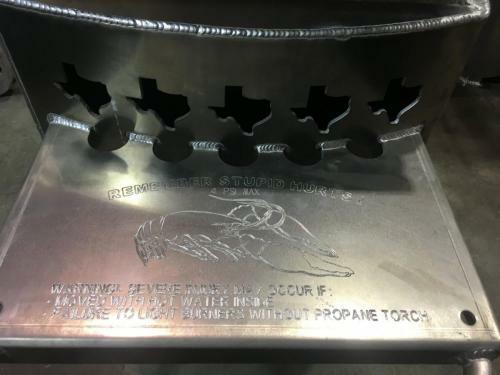 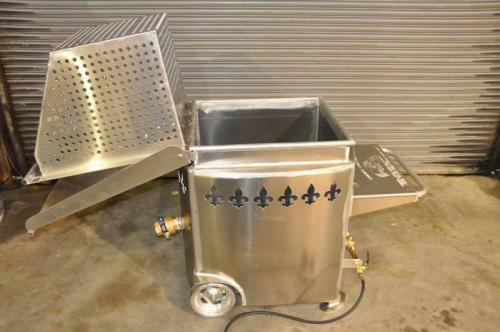 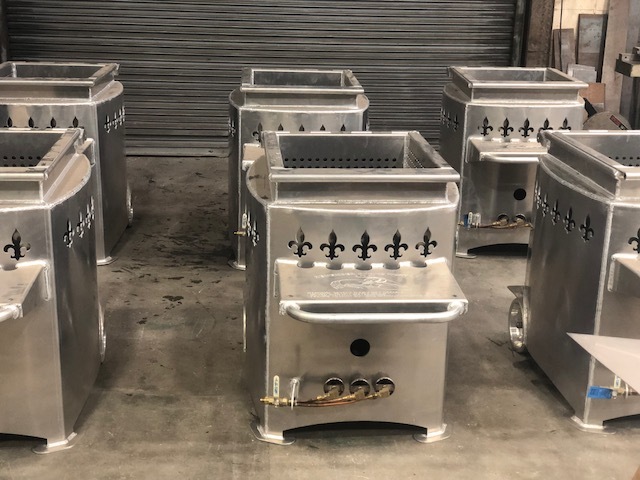 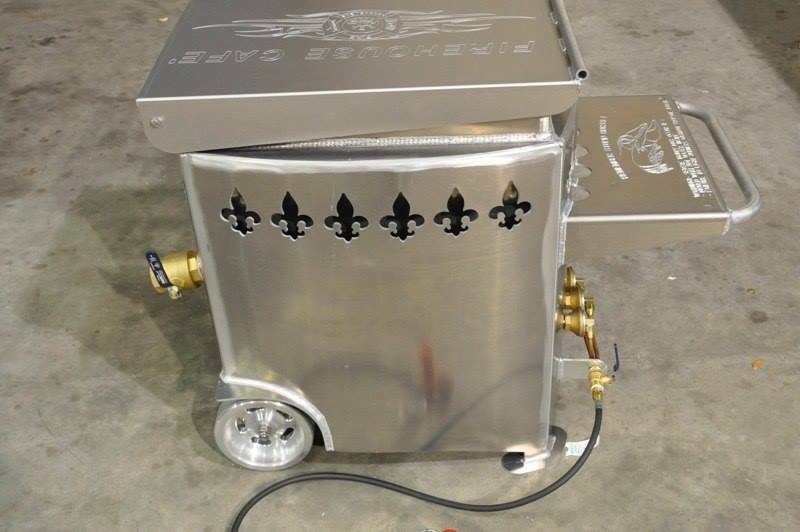 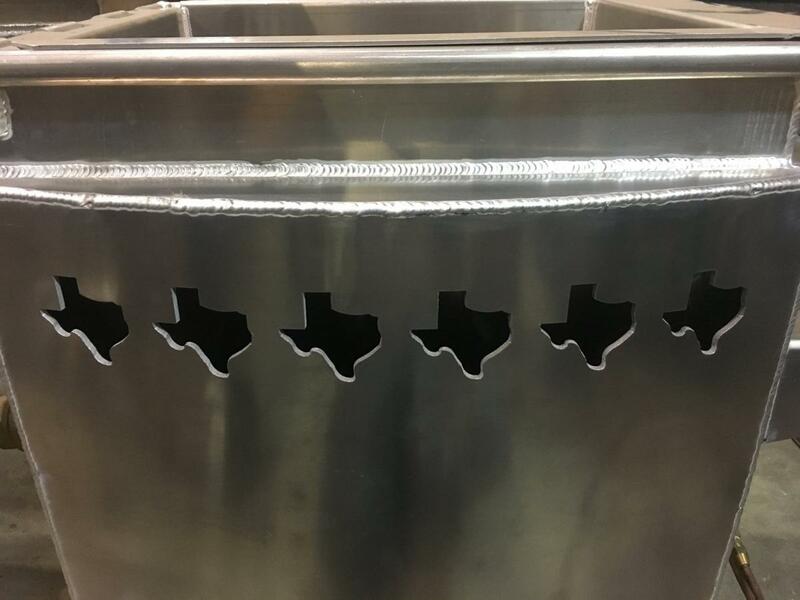 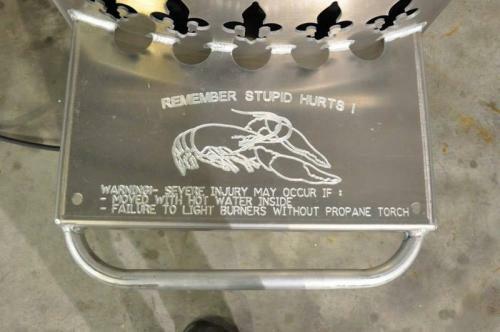 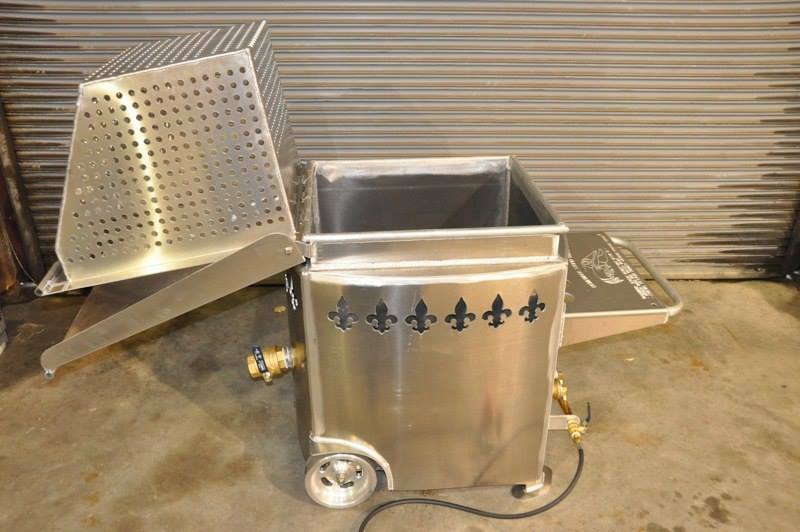 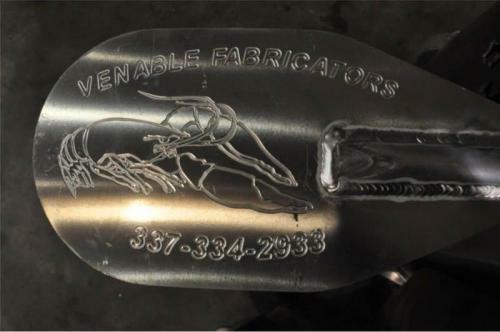 We are now producing deluxe crawfish boiling pots with custom engraving. 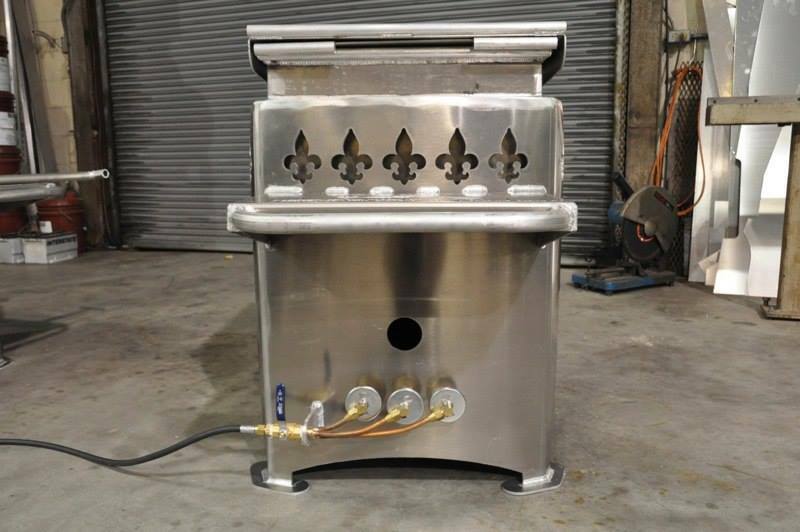 They have a whisper quiet design that allows you to stay at a boil while still being able to hold a conversation with ease. 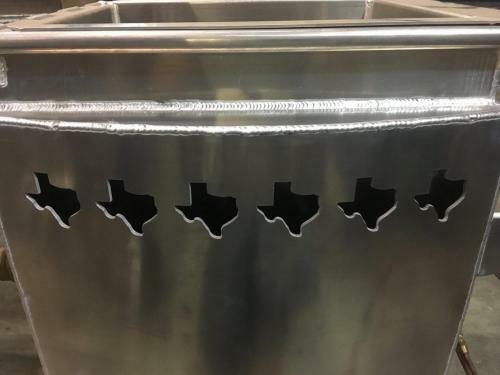 The pots have a two sack capacity. With a total of 480,000 btu, you can drop two sacks of crawfish in and have it back to a boil in three minutes. 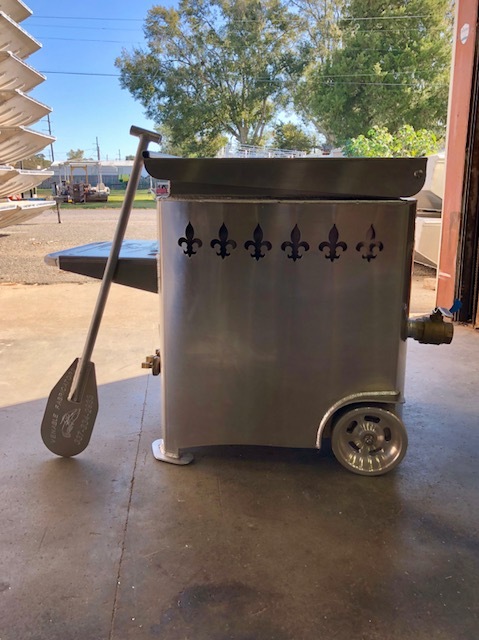 It was also designed for ease of use, with an easy dump lid that acts as a chute, shelf, draining valve, removable keep-cool handles, and wheel barrow type movement. 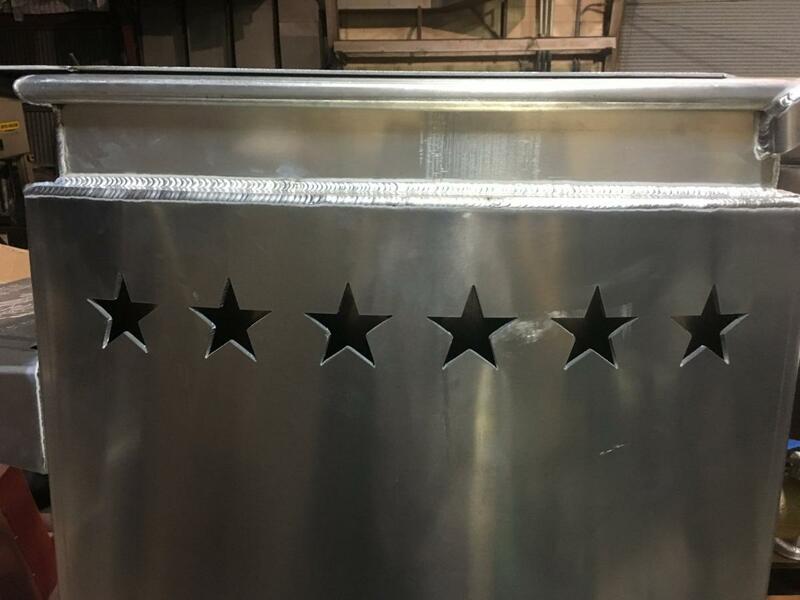 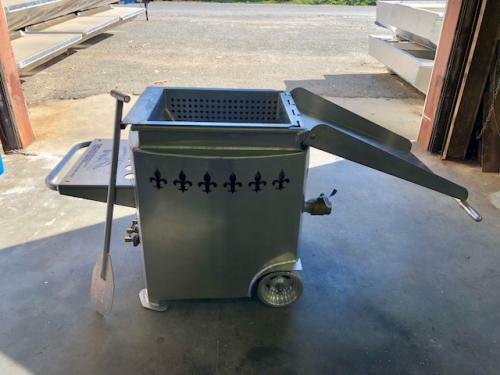 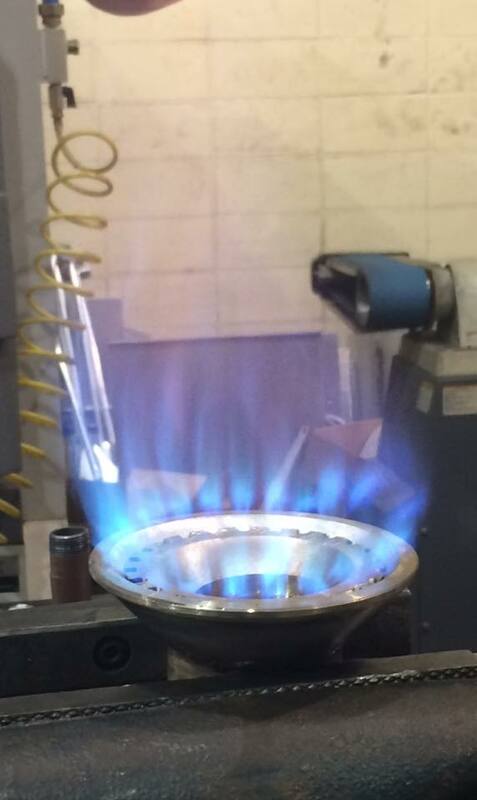 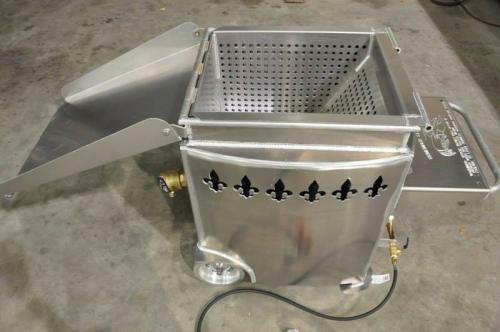 We have added several improvements to our original design including the change to dual inset aluminum caster wheels, a punched plate basket, stainless burners, and a heat shield on the bottom of the pot.